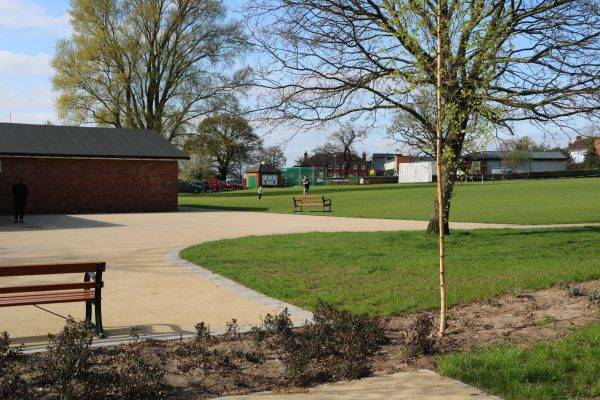 Located in North Warwickshire, Coleshill Memorial Park’s adventure playground now provides a high quality facility and a fun play area for children. 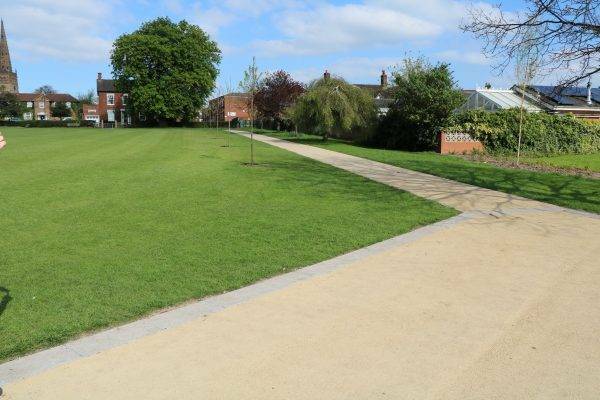 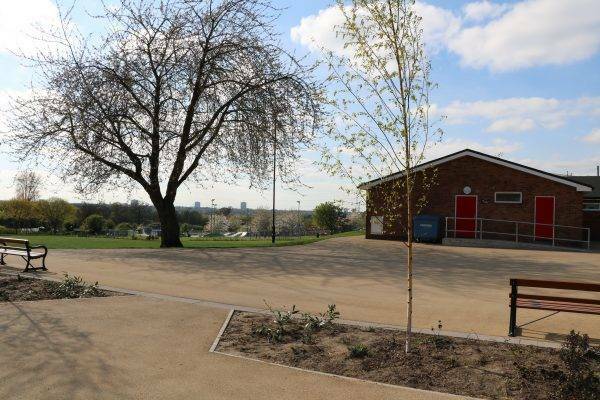 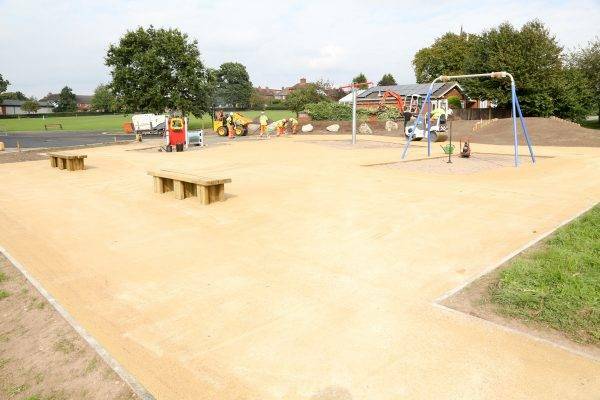 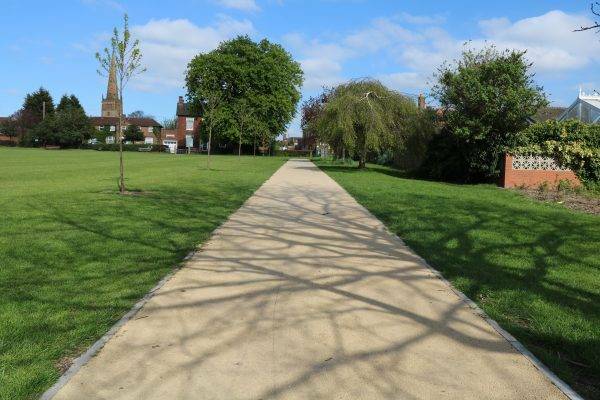 NatraTex Cotswold is the company’s ‘flagship’ product and has been used for various applications for park footpaths and playgrounds prior to the application at Coleshill Memorial Park, due to its safety benefits and modern aesthetics. 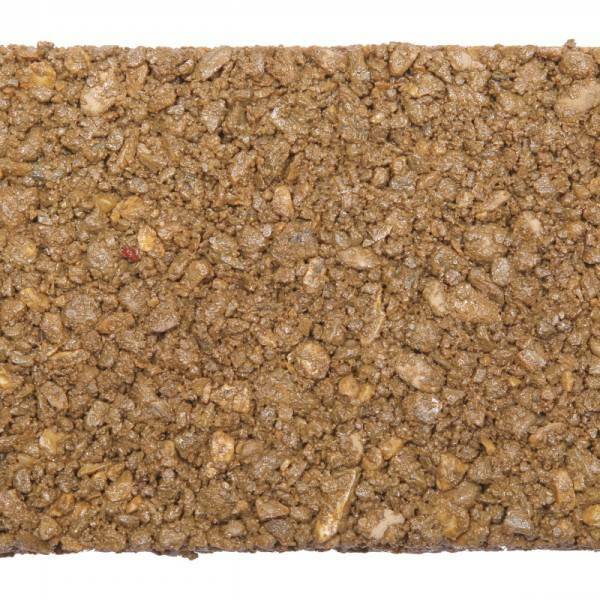 The material is created using naturally- occurring aggregates bound with specialist clear synthetic binder to give it the complete compactness that it requires. 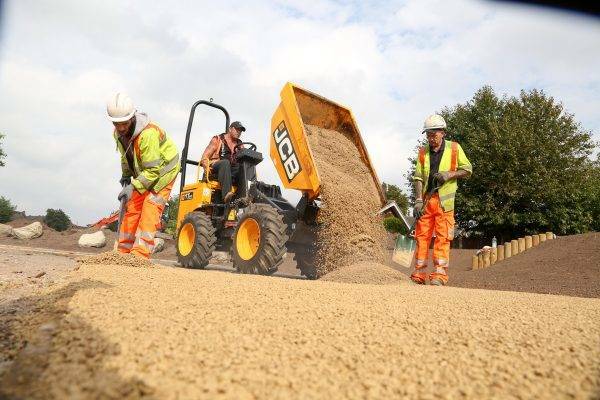 The Cotswold aggregate offers an aesthetically pleasing alternative to a traditional tarmac finish, with the same long-lasting qualities as asphalt. 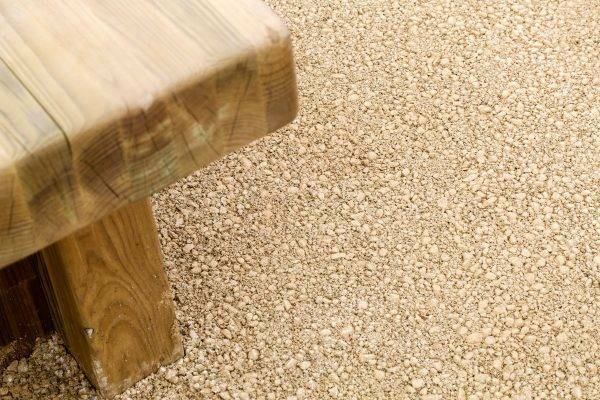 Find out more about our gravel footpaths. 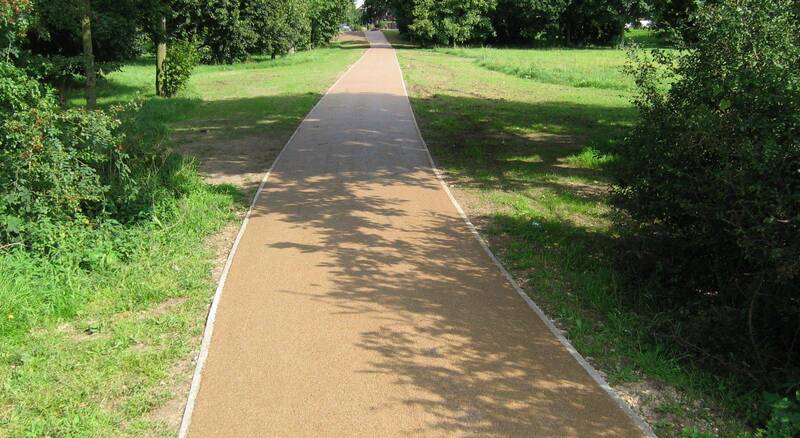 “We are particularly happy with the golden colour of the pathways. 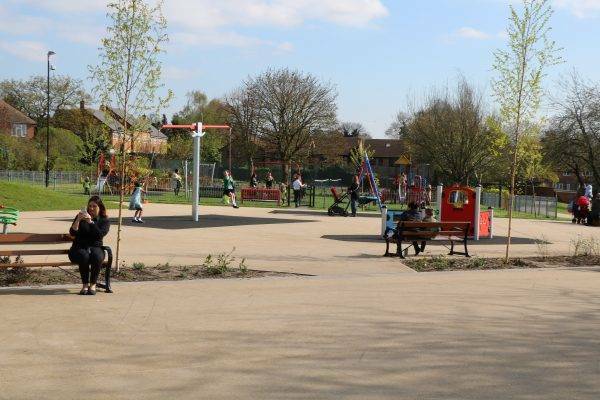 It really lifts the park in these dull and dark winter days”.